UPDATED: Thu., Jan. 17, 2019, 10:43 a.m.
OLYMPIA – Access to good internet service can make or break a business. Just ask Justin Slack, mayor of Harrington and owner of The Post & Office coffee shop on Third and Main streets in the middle of the Eastern Washington town of 400. Broadband access can be limited in the region’s farm country, but Harrington managed to get high-speed service in its downtown about 4 1/2 years ago. Slack and his wife, who had recently moved with their two children to the town where he telecommutes for a Seattle bank, saw an opportunity for the old U.S. Post Office, an unoccupied building in the middle of that internet hot spot. Being from Seattle, they of course opened a coffee shop, he joked. It became a place where locals gathered not just for something to drink but to get online and travelers stopped to check their email and social media while they downed caffeine for the next leg of a trip. The Slacks eventually expanded the shop into a second room for other “teleworkers,” like Justin, or where local businesses can come when they need a strong internet for online operations. That experience put Slack front and center for Gov. Jay Inslee’s announcement Wednesday of a new initiative to get good broadband service throughout the state. Inslee is proposing the Legislature set aside $25 million in the 2019-21 capital budget for a new Statewide Broadband Account that would make loans and grants to local communities. He also wants to set up a new office in the Department of Commerce to coordinate the expansion. “You cannot overstate how important access to broadband is in this world,” Inslee said at a news conference. Businesses looking to market their products across the country and around the world need it, and rural students who don’t have access to it are at a disadvantage to their urban counterparts who do, he said. “The 21st Century is a digital economy,” said Sen. Lisa Wellman, D-Mercer Island, the prime sponsor of the legislation. Although Republicans were critical of some new programs he discussed in Tuesday’s State of the State address, Inslee said he didn’t think there should be an ideological divide over closing the digital divide. 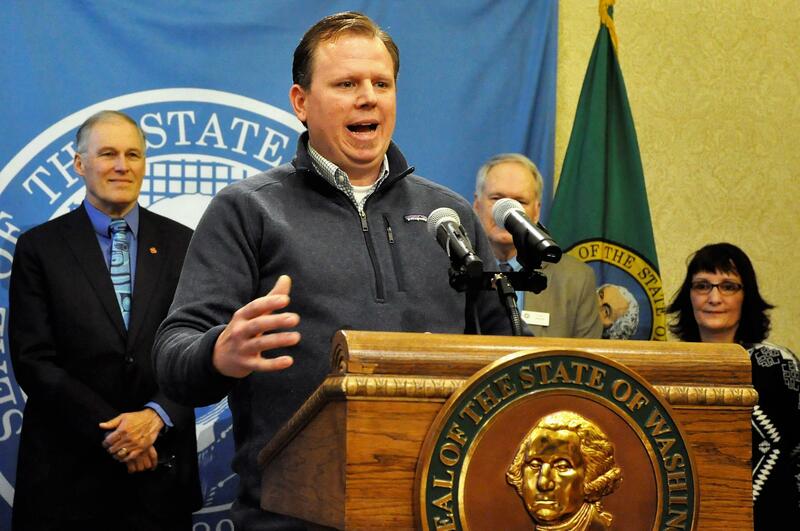 Sen. Shelly Short, R-Addy, whose northeastern Washington district has some of the biggest broadband gaps, said she will sign on as co-sponsor to the bill, even though she’s not sure the state needs another agency. There’s time to work on details, and she’s also not sure about the sufficiency of the proposed $25 million, considering the cost some communities have seen for their efforts to expand broadband. “It’s a good start, but I think it needs to be more,” Short said. Published: Jan. 17, 2019, midnight Updated: Jan. 17, 2019, 10:43 a.m.